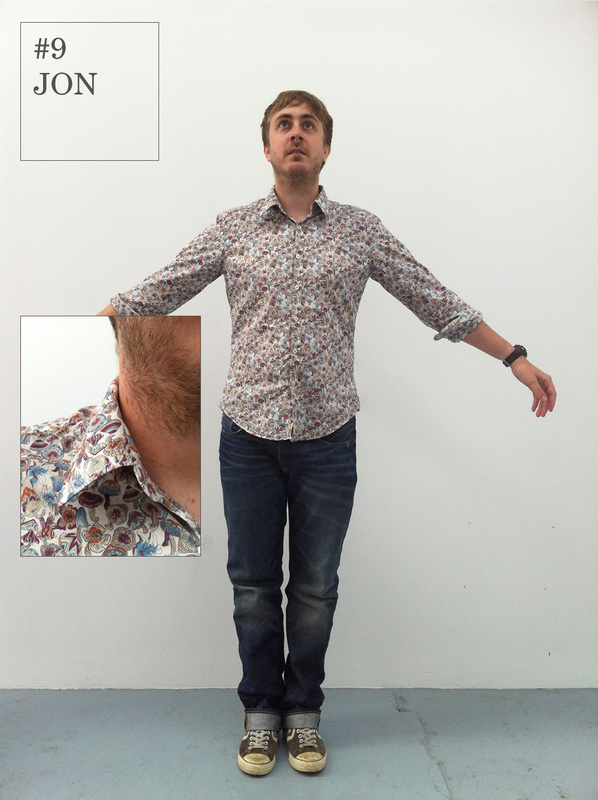 Moving on from his signature pose, Jon adopts a Take That style stance to model one of his wardrobe favourites known as ‘The Mushroom Shirt’. We can only assume the designer of this shirt was inspired when they asked themselves 'what would mushrooms look like if they were colourful?’ the result is an optical illusion of a shirt that from a distance is more floral than fungal. Jon keeps this look from looking too geography teacher at a school disco by pairing it with a quality pair of denim jeans.